Wellborn Cabinet, Inc. offers a wide variety of cabinetry but the biggest trend we are currently seeing is pantry solutions. Wellborn can provide you with the exact style and design that you are looking for, in addition to the highest quality cabinetry money can buy. 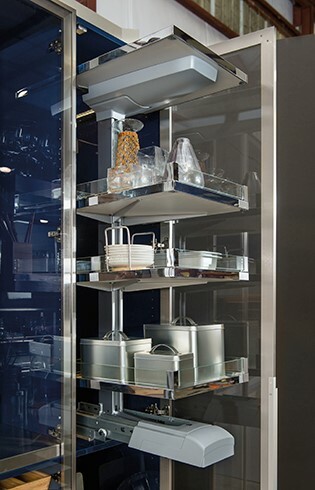 We offer kitchen, free-standing, and utility pantries in all sizes and finishes. 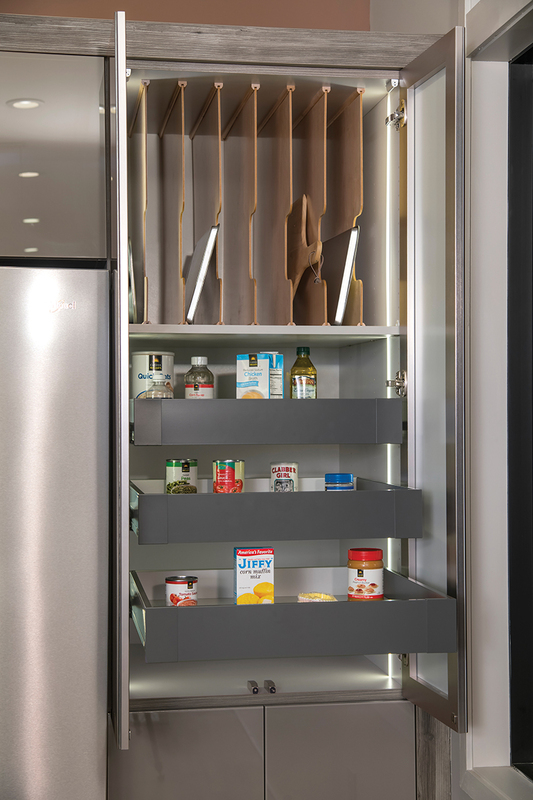 From walk-in closets to pullout pantry cabinets to freestanding modular shelves, Wellborn Cabinet has many ways to whip your pantry into shape in just the right size and style for the space you have available. If you’re considering installing pantry cabinets, you’ll first want to measure the space in your existing or planned pantry. If you’ve got a large space with room for plenty of cabinets, doors and pullouts, you’re in luck. But it’s more likely that your pantry space is somewhat crowded, which means you’ll need an efficient pantry cabinet plan. 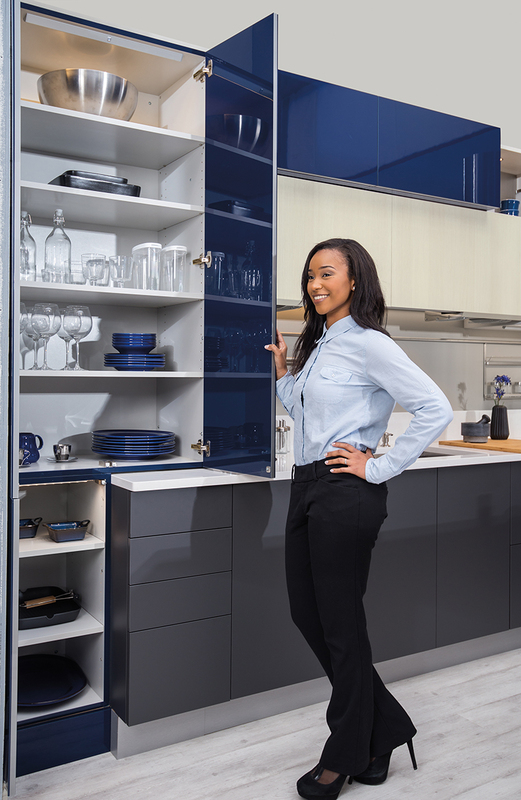 This might mean installing shallower shelves and drawers, or a tambour door that will allow for maximum efficiency in your kitchen storage space. 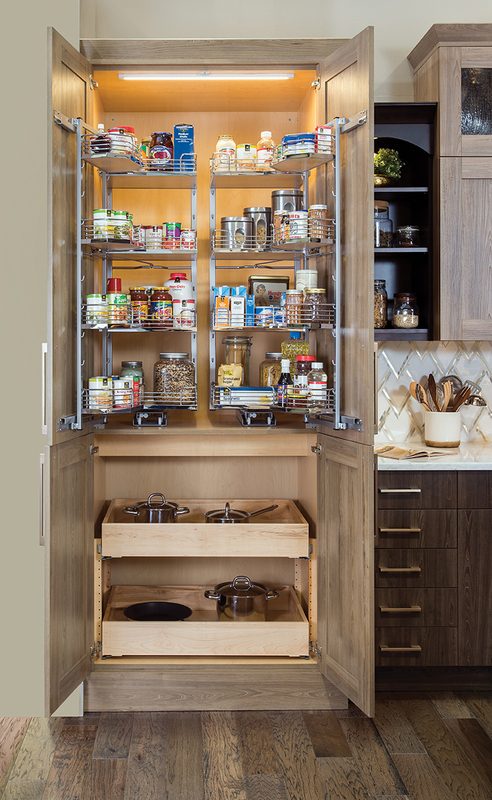 With Wellborn’s YouDrawIt program, it is possible to make your pantry however you want it. 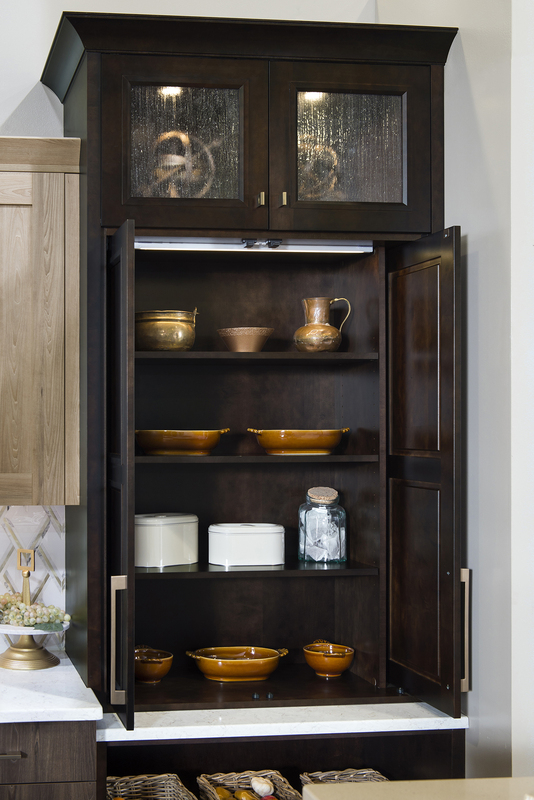 Pantry cabinets are essential to any room in the home but in the heart of the home it is a necessity. 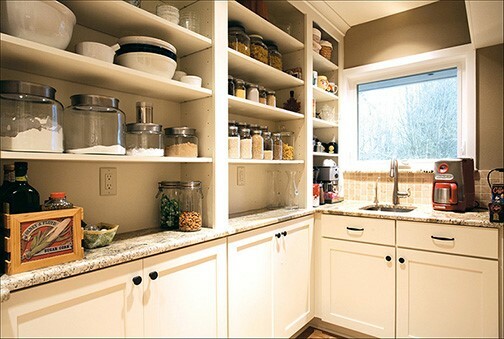 With pantry cabinets its about functionality and organization. Wellborn’s storage solutions are endless. From Drawer inserts with spice racks to Base Tray and Foil Pullouts, there truly is nothing Wellborn cannot provide. 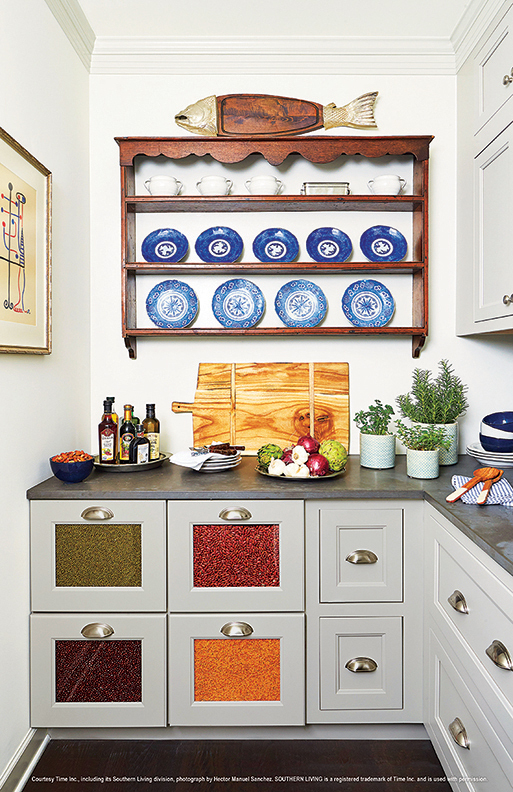 Along with storage options, lighting in cabinetry is the newest staple every kitchen needs. Wellborn’s pullout pantry cabinets are perfect for a small kitchen. You can convert a cabinets by adding rolling shelves and wire racks to the interiors and doors for a functional cabinet that frees up counter space and keeps you organized. The rollout drawers pull out toward you to allow for plenty of deep storage space. This is extended on a much larger scale with built-in pantry shelving. These modular multiple shelving units combine door racks with shallow shelves that pull out and rotate to reveal more shelves behind them. 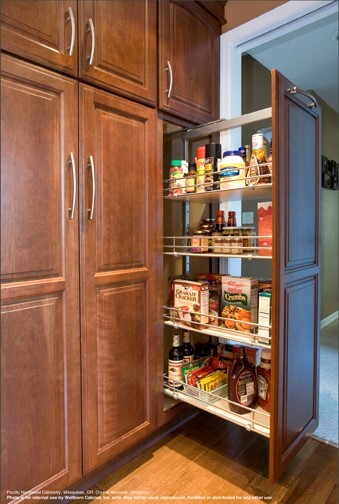 Wellborn offers freestanding pantries which are great for a kitchen with tight cabinet space. A freestanding pantry is made of open shelving units fit together to stand free from cabinet furniture, usually against a wall. 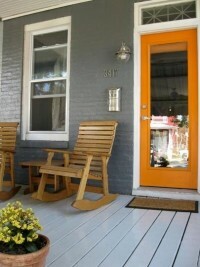 They allow for storage of pots and pans, as well as dry food items, cans, and bottles. 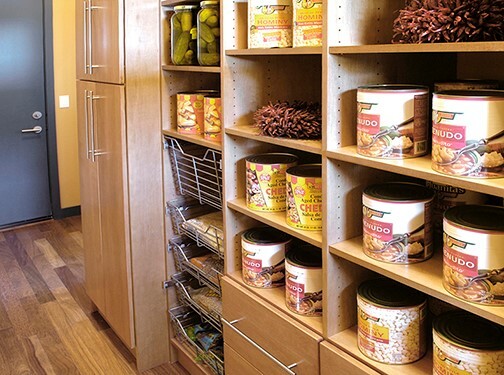 Other pantry ideas and accessories to keep you organized once you’ve decided on what kind of pantry you want are shelf dividers, pullout drawers, wire racks for produce, spice racks, and erasable labels to put on the doors for easy identification. With the right Wellborn pantry, your kitchen will be organized in no time. Visit wellborn.com to see everything we have to offer and to find a dealer nearest to you.